Rob and Imogene Anglaret, both of whom worked in the City of London, had a life long ambition to purchase a hotel in the New Forest. 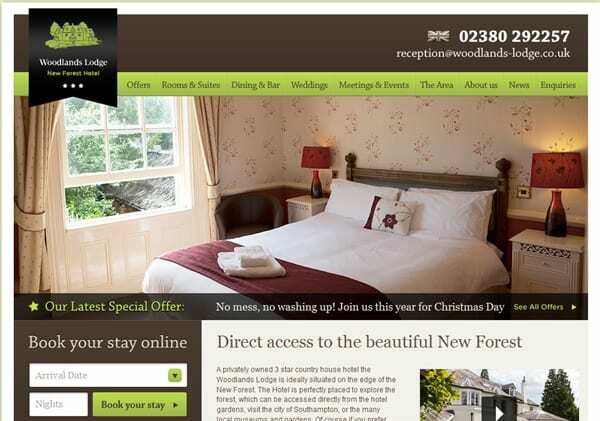 They identified the Woodlands Lodge as being perfect for their requirements. Woodlands Lodge had been on the market for a number of years and due to its declining profitability represented a hotel funding challenge (even for a proven operator, let alone first time operators) where new debt can’t be adequately serviced for the trading profit. Stewart Hindley & Partners prepared projections for a three year period going forward, to offer a business recovery solution. This required a restructuring of the financials to represent industry norms and meetings with several lenders to prove that the business could meet debt criteria under a â€œfair and maintainable trade concept. hotel loan was secured on advantageous terms (considering that Rob & Imogene were new-to-trade operators) on the basis that the business improved upon its profitability by reducing excessive overheads and through revenue development. Since the Anglarets acquired the business they have successfully returned the business to profitability and have significantly improved the trade and the general appeal of the hotel to existing and prospective guests. Stewart Hindley & Partners secured offers from two commercial property lenders allowing us to make a clear business choice and negotiate the best deal. Stewart Hindley also secured a residential mortgage on our behalf on the adjacent house to the hotel. They dealt with every aspect of these transactions, which included the valuation report and agreement of the goodwill and fixtures and fittings apportionment, and the “Share Purchase Agreement” which in itself was complex and required a full and comprehensive understanding of taxation and allowances to ensure our best interests were met for the future.